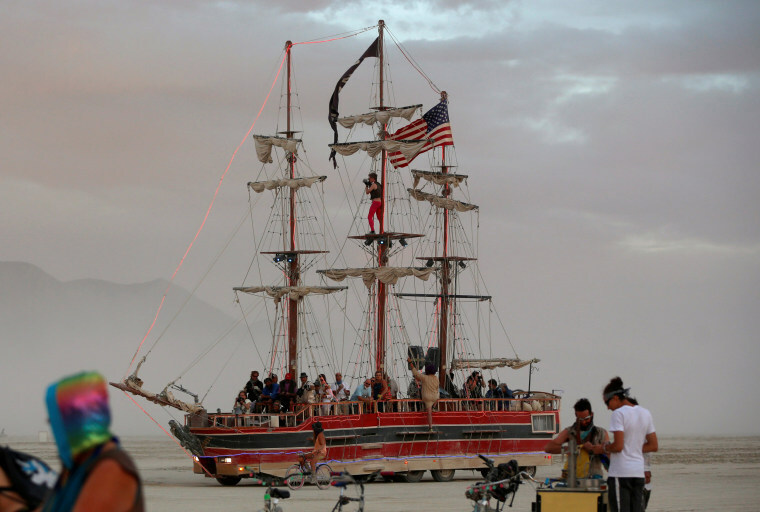 The Burning Man festival — dedicated to art, community and imaginative self-expression — creates a temporary metropolis in a Nevada desert. 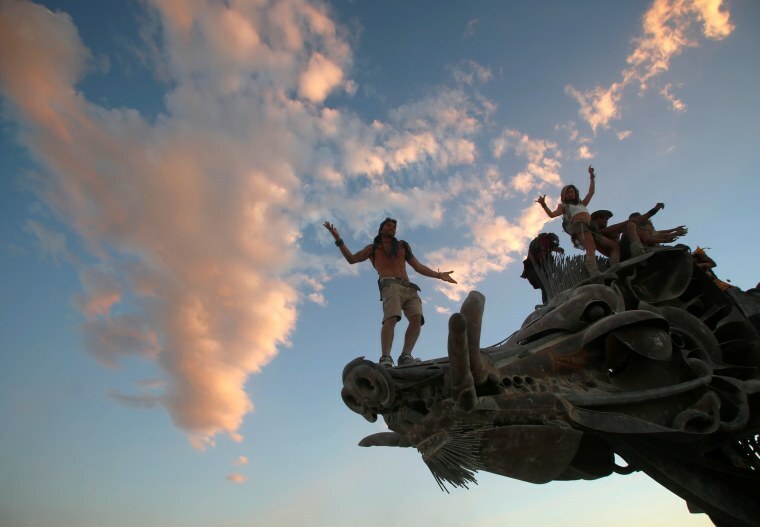 Festivalgoers stand on a "mutant vehicle" decorated like the Golden Gate Bridge during Burning Man in Nevada's Black Rock Desert on Friday, Sept. 2. 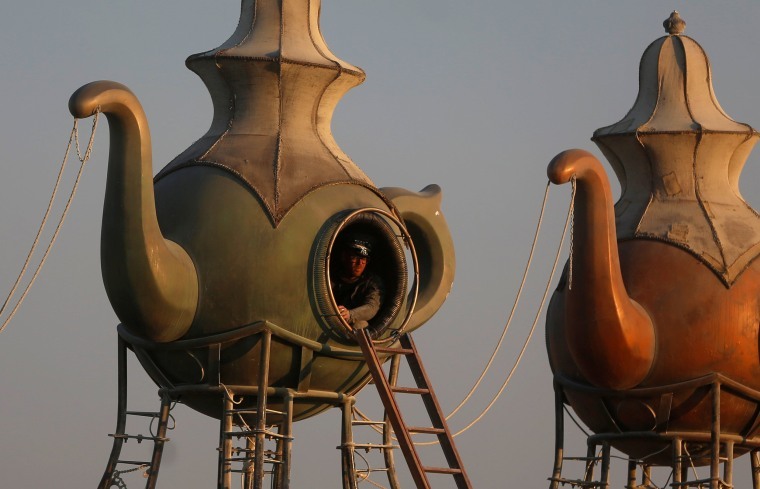 Some 70,000 people from all over the world are expected to attend the 30th annual Burning Man arts and music festival. 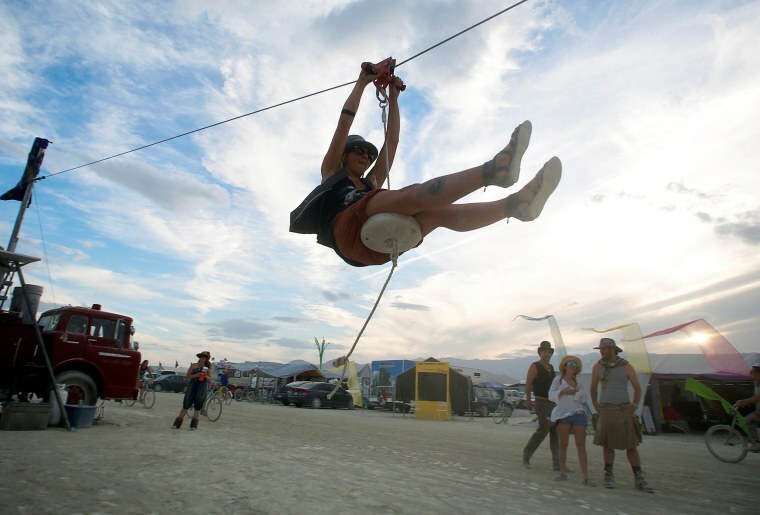 A thrill-seeker rides a zip line on Friday. 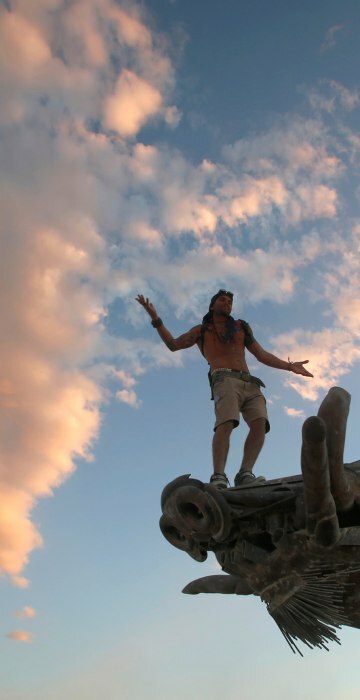 The festival takes its name from the burning of a wooden effigy that ends the weeklong event. 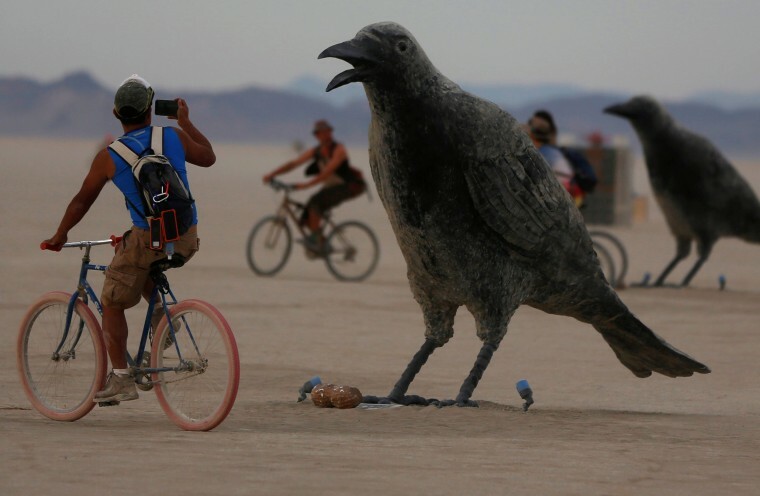 A bicyclist passes a mutant vehicle Friday on the Playa. 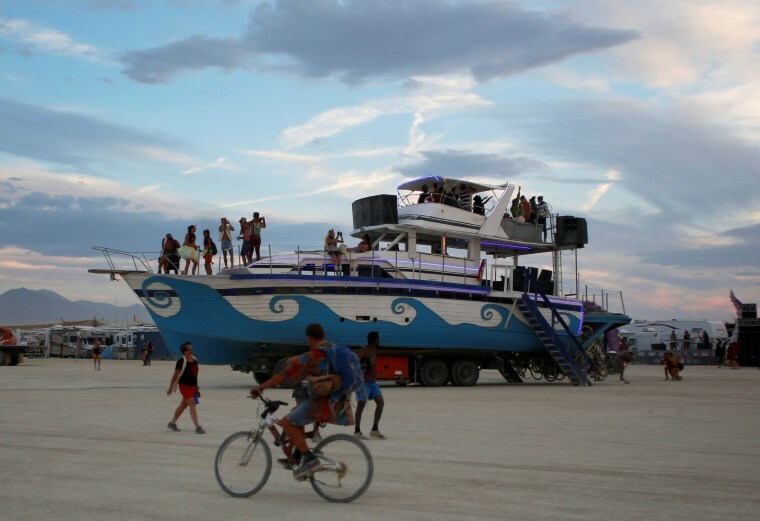 The Spanish word for beach, playa, is also used to describe the dry lake bed where the festival takes place. 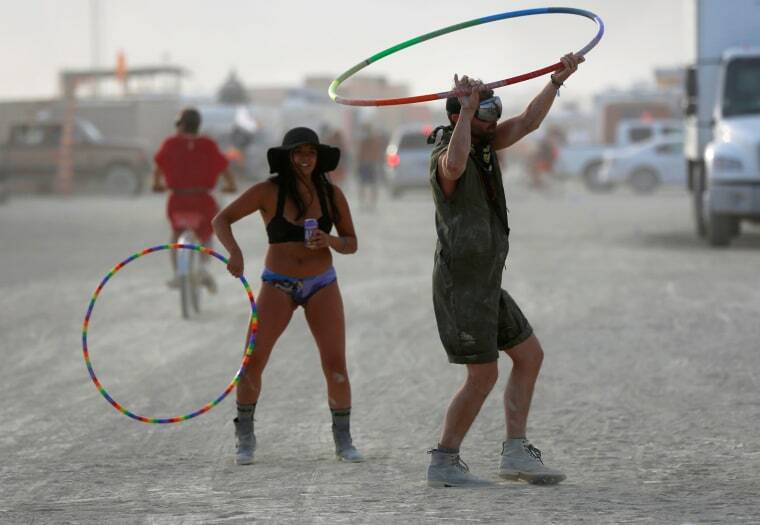 Participants use hula-hoops on Friday. 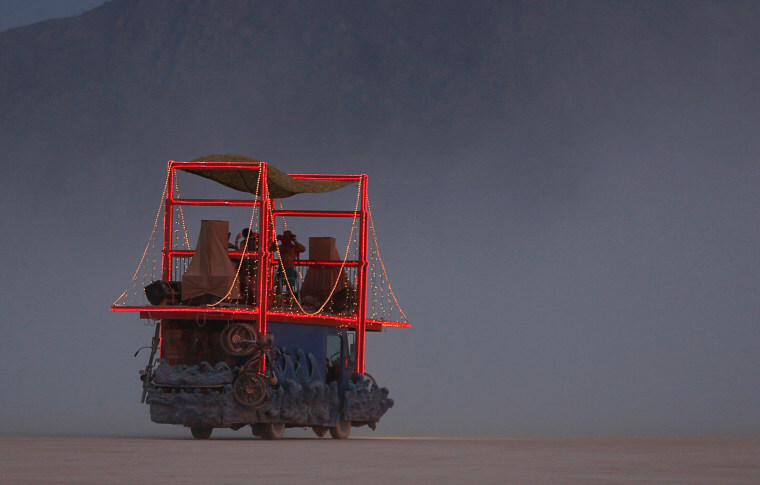 An important part of the Burning Man experience, the festival website defines a mutant vehicle as "a motorized conveyance that is radically, stunningly, (usually) permanently, and safely modified." 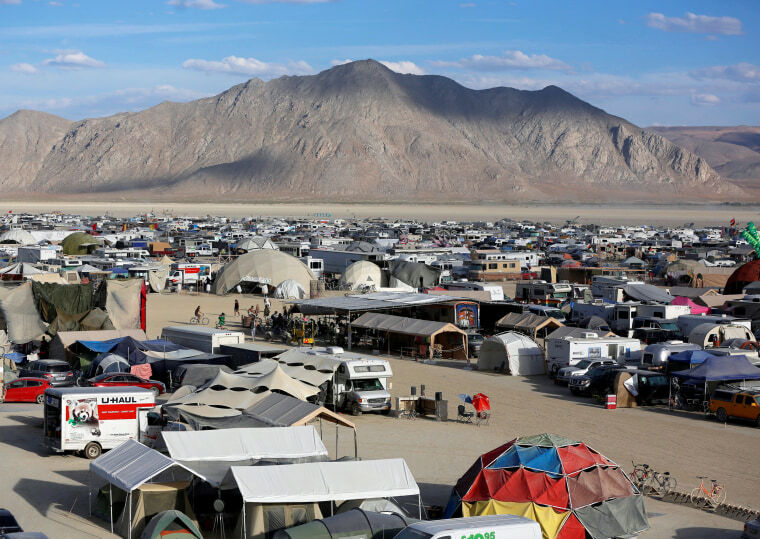 Vehicles and tents form "Black Rock City." The Catacomb of Veils is burned on Friday. 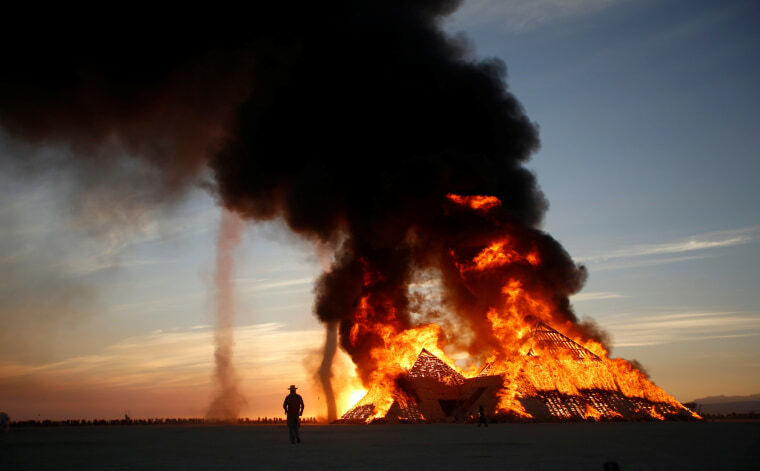 Burning Man began in 1986 when two friends burned a wooden effigy on a San Francisco Beach. The spectacle drew a crowd and the seeds of the festival were planted. When it moved to Nevada in 1990 there were only a few hundred people in attendance. A man sits in a mutant vehicle. 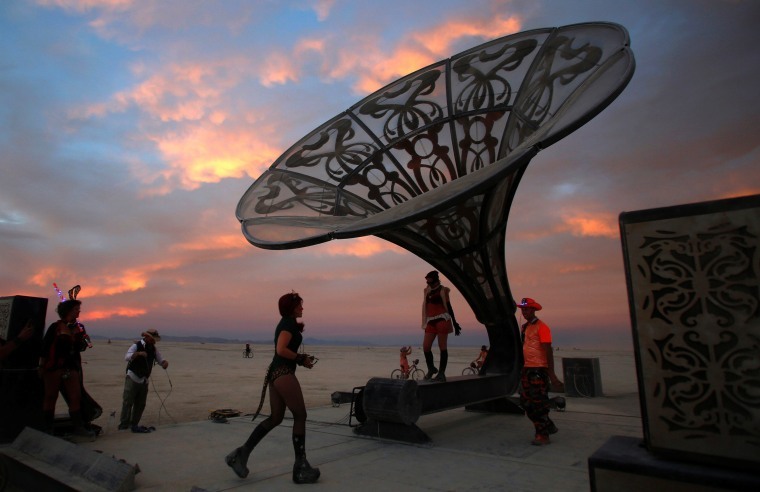 Participants explore the art installation, La Victrola, on Thursday. 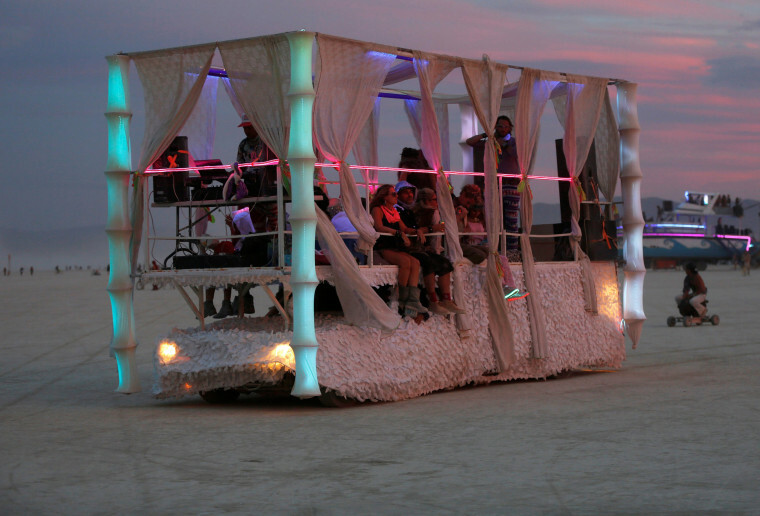 A mutant vehicle, or art car, drives on the Playa on Thursday. A cyclist passes an art installation on Thursday. Participants dance and climb on an art installation on Wednesday. 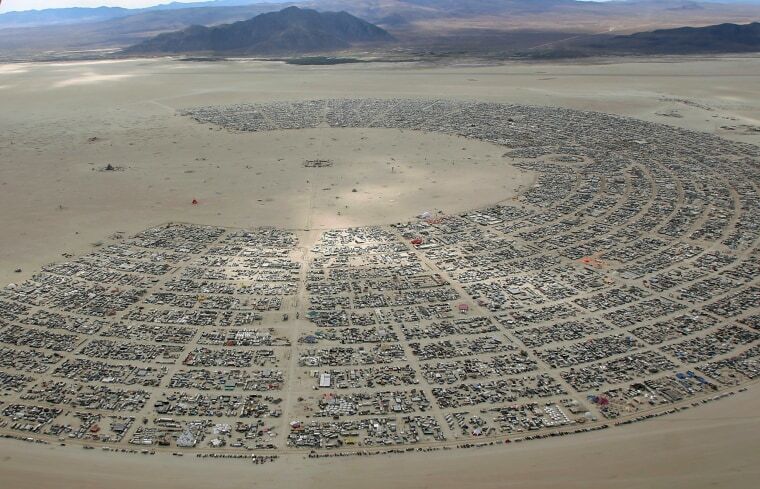 An aerial view shows the grid of "Black Rock City" on Wednesday. The festival runs through Sept. 5.